Create, compress, and encrypt archives of your critical data. The shell is the most powerful tool your computer provides. Despite having it at their fingertips, many users are unaware of how much the shell can accomplish. Using the shell, you can generate databases and web pages from sets of files, automate monotonous admin tasks such as system backups, monitor your system's health and activity, identify network bottlenecks and system resource hogs, and more. This book will show you how to do all this and much more. 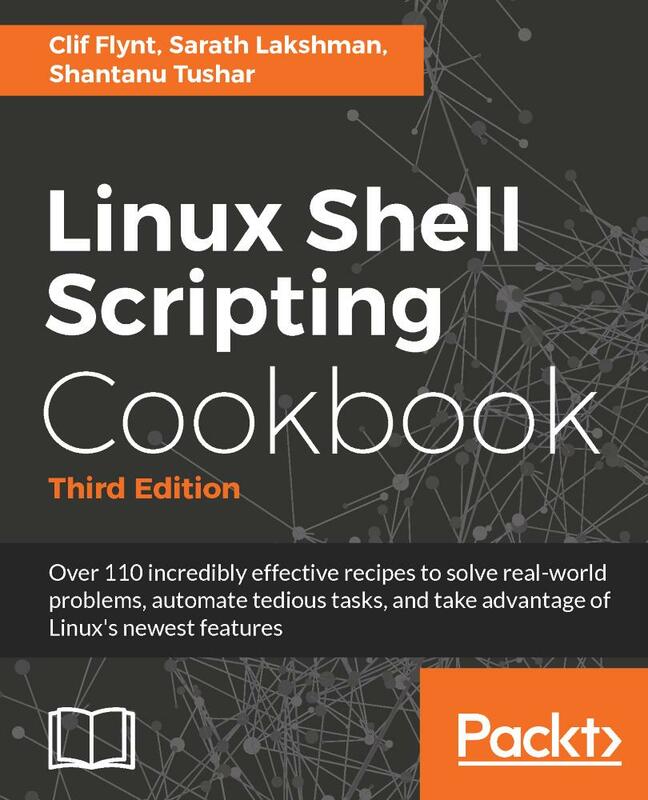 This book, now in its third edition, describes the exciting new features in the newest Linux distributions to help you accomplish more than you imagine. It shows how to use simple commands to automate complex tasks, automate web interactions, download videos, set up containers and cloud servers, and even get free SSL certificates. Starting with the basics of the shell, you will learn simple commands and how to apply them to real-world issues. From there, you'll learn text processing, web interactions, network and system monitoring, and system tuning. Software engineers will learn how to examine system applications, how to use modern software management tools such as git and fossil for their own work, and how to submit patches to open-source projects. Finally, you'll learn how to set up Linux Containers and Virtual machines and even run your own Cloud server with a free SSL Certificate from letsencrypt.org. Clif Flynt has been programming computers since 1970, administering Linux/Unix systems since 1985, and writing since he was 9 years old. He's active in the Tcl/Tk and Linux user communities. He speaks frequently at technical conferences and user groups. When not working with computers, Clif plays guitar, writes fiction experiments with new technologies, and plays with his wife's cats. journals, including Write to Meow by Grey Wolfe Press, 2015. Sarath Lakshman is a 27 year old who was bitten by the Linux bug during his teenage years. He is a software engineer working in ZCloud engineering group at Zynga, India. He is a life hacker who loves to explore innovations. He is a GNU/Linux enthusiast and hactivist of free and open source software. He spends most of his time hacking with computers and having fun with his great friends. Sarath is well known as the developer of SLYNUX (2005) - a user friendly GNU/Linux distribution for Linux newbies. The free and open source software projects he has contributed to are PiTiVi Video editor, SLYNUX GNU/Linux distro, Swathantra Malayalam Computing, School-Admin, Istanbul, and the Pardus Project. He has authored many articles for the Linux For You magazine on various domains of FOSS technologies. He had made a contribution to several different open source projects during his multiple Google Summer of Code projects. Currently, he is exploring his passion about scalable distributed systems in his spare time. Sarath can be reached via his website.